"No one should ever be allowed to enter Manchester United Football Club ever again and adopt a different philosophy to the one the club has." 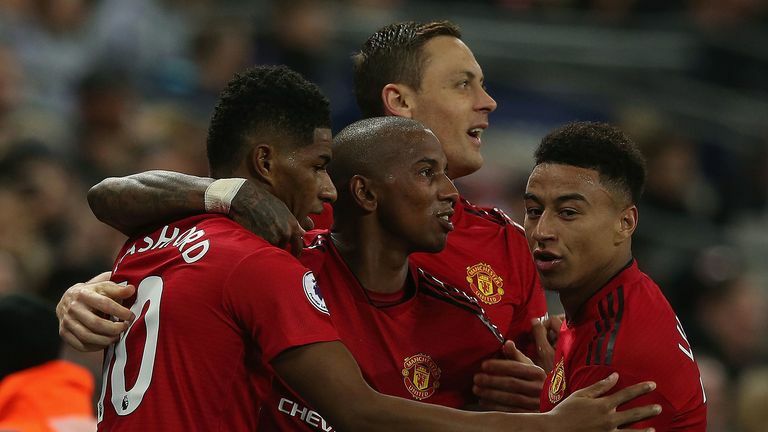 Gary Neville says no one should adopt a different philosophy at Manchester United than the one already at the club, and says he is excited by the team again. 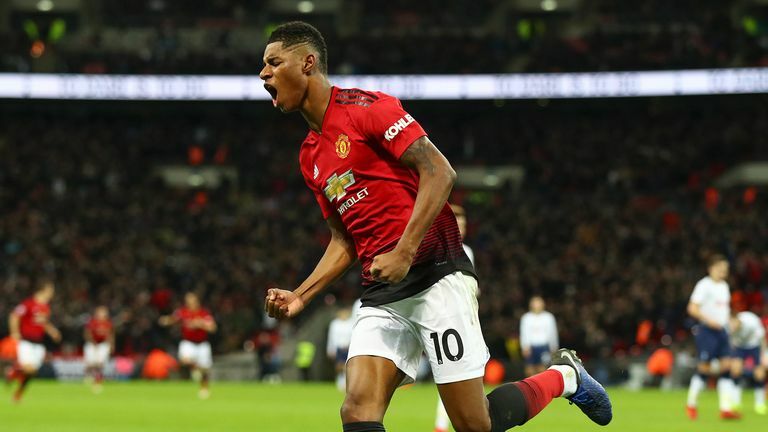 The club have had a superb run of form since the arrival of Ole Gunnar Solskjaer in December, winning their last five Premier League games, including a 1-0 win against Tottenham on Sunday. Solskjaer the man for United? Former defender Neville believes Solskjaer has reintroduced the Man Utd philosophy after differing ideas under previous managers, and it should not be forgotten again. "No one should ever be allowed to enter Manchester United's training ground or Old Trafford ever again to shape their own philosophy. That is done. "Manchester United's philosophy is so deep and so meaningful, it's like Barcelona's and it's like Ajax's. At Manchester United you play fast, attacking football in an entertaining way. You bring young players through and give them belief. And you win. "To be honest with you, the third one sometimes goes in cycles. The winning actually comes as a result of doing the first two right. The third one doesn't always happen. Sometimes you can go years without winning trophies. You can go years without winning things and picking up titles. "I supported David Moyes, I supported Louis van Gaal and I supported Jose Mourinho. I thought they would win at the football club and I said it at the time. I'm not sitting here backtracking, thinking Manchester United made a bad decision by appointing Jose Mourinho. "I thought this was perfect for the club because he cuts across everything and he does win. He did win to be fair to him. In the first season he won two trophies, but the league was what he was brought in to win. "I thought Louis van Gaal would win as well. The money that has been spent is incredible, but what I have found difficult over the last seven years is the breach of philosophy. Yes, I think young players have still played, but it seems that they've allowed managers to pull the club from pillar to post. "No one should ever be allowed to enter Manchester United Football Club ever again and adopt a different philosophy to the one the club has. 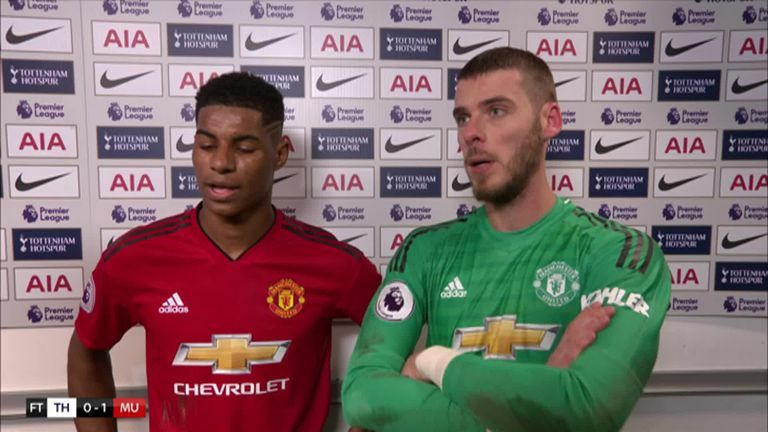 "What Ole Gunnar Solskjaer has done in a month, irrespective of the how the club do this season, has shown Manchester United that. "I like watching it, that's it. I want to go to the ground again. About six to eight weeks ago there was a game in midweek and I stayed at home and watched it on television. I didn't want to go and there were many fans like that. "We can't be in that position as Manchester United fans. We have to think there's a game on at Old Trafford and I want to go. That's how Manchester United fans will be thinking now because when you watch Jesse Lingard, Marcus Rashford, Anthony Martial and Paul Pogba running from box to box like they are, you're electrified. "There was one counter-attack in the first half at Wembley where they sprinted forward from one box to the other and I thought 'Wow! I'm watching red shirts run from box to box in three seconds, passing quickly' and that's what you want to see. "I don't expect to see winning football as a Manchester United fan every week. I don't expect them to win titles every year. There are a group of fans that grew up in the Sir Alex Ferguson years who have been spoiled. They will think we have to win titles every single year as a football club. "I grew up in the late Seventies and Eighties when Manchester United never won a title, so for 15 or 16 years of my life, Manchester United were always the pretenders. They were the side that always threatened, but never delivered. "There have been times when I think the fans have become bored by watching the club play and that's something you can never have. And that's for every club. Fans go to games, paying the money that they pay to get that release form a hard-working week and they don't want to be bored. They want to see excitement. "From a Tottenham point of view, they can go away having lost on Sunday but still be proud and that's what Manchester United fans want. They want to be proud that they've watched the team play. "Earlier on in the season, it wasn't like that. There were periods under Louis van Gaal and David Moyes when it wasn't like that. I'm not saying that Manchester United have to bring in a manger next that's going to win the league in the next couple of years, but they have to bring a manager in that's going to bring belief to young players from the academy that they are going to be brought through. "They must play fast, attacking and entertaining football and if the club can win as a result of that, then that's wonderful. And of course, yes, the club expect to win, but it isn't a club that's like Real Madrid in the sense that at the Bernabeu it's win at all cost. Ref Watch: Did Pogba escape red card? "We've seen that with Manchester United these past seven years and the fans supported Jose Mourinho to the very end. They supported Louis van Gaal to the very end. Even when the successes have not been coming and the football hasn't been great, they've never turned on the managers. Whereas at clubs like Real Madrid, they would turn on the manager a lot quicker if they didn't get success. "Manchester United is a bit softer than those clubs. They are a little bit more forgiving."